Because our client and the third-party driver knew each other (the two were former colleagues), they agreed to try to sort out the matter between themselves. However, when one of our client's sons started to complain of a sore head and our client began to experience stiffness in his neck and shoulder, which led to an A&E visit, our client decided that he would have to report the matter to his insurers. The collision caused our client to suffer a whiplash injury. He experienced pain in his neck, right shoulder, and back, which required a visit to his GP and a hospital appointment for treatment. He was given a prescription of co-codamol and prexum and also required physiotherapy to help with the recovery process. Our client missed two weeks of work, during which time he received full pay. While one of our client's sons suffered from ongoing headaches and back pains because of the accident, the other seemed to be unaffected by the collision. Our client's union – the Bakers and Allied Food Workers Union – referred him to Thompsons Solicitors. We proceeded to intimate a claim against the defender. The third-party driver admitted liability at the scene of the accident, making the process fairly straightforward. 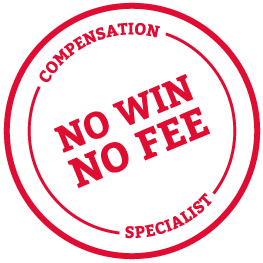 We reached a compensation settlement of £3,472 for our client's whiplash injury under the Voluntary Pre-Action Protocol. The case reached a settlement on 31 August 2017.